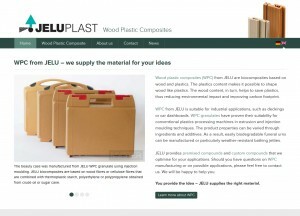 JELU-WERK, a German medium-sized company, has redesigned its website www.jeluplast.com on which it informs about its range of wood plastic composites (WPC).JELU-WERK manufactures and distributes various WPC granulates under the JELUPLAST brand. These granulates are suitable for injection moulding and extrusion on conventional plastics processing machines. They can be used to produce industrially-made products, such as deckings, toys and household products. On its website, JELU-WERK gives information on the ingredients of its compounds. The WPC granulates are described with their outstanding characteristics. Data sheets containing measurement results and processing notes are also available. In addition, JELU-WERK provides details on the options to compound tailor-made WPC blends. And last but not least, a comprehensive gallery with numerous pictures of possible applications is included. 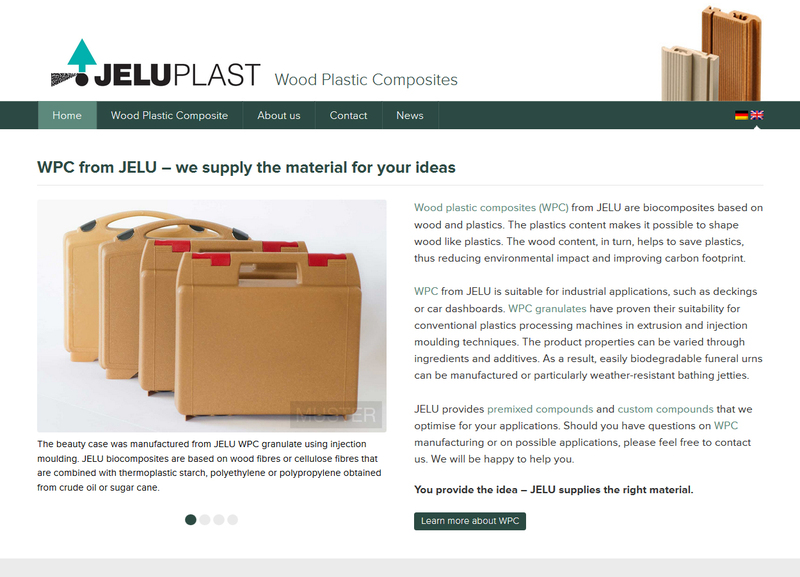 Wood plastic composites (WPC) from JELU are thermoplastic compounds based on wood and plastics. The plastics content makes it possible to shape wood like plastics. The wood content makes the material stiff and helps to save plastics, thus reducing environmental impact and improving carbon footprint. JELU is a medium-sized company that has been managed by the Ehrler family for more than two generations. Several years ago, JELU developed a process for manufacturing homogeneous biocomposites from plastics, wood fibres and additives. The company produces premixed compounds and manufactures customised WPC granulates with different filler concentrations and alternating additives according to the customers’ needs. JELU offers WCP blends based on polyethylene, polypropylene, thermoplastic starch and other plastics. The fibres are either wood fibres or cellulose fibres.